Start taking classes at Hot Yoga Life and other studios! 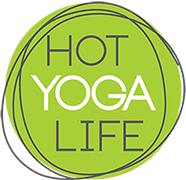 Hot Yoga Life offers yoga classes in a heated environment. Classes are designed for beginners right through to the more experienced yogi. Toilets can be located on the ground floor of the hotel. Please note, they do not have shower facilities available. Hot Yoga Life is located on the fourth floor within the Adelaide Meridian Hotel, Melbourne Street, North Adelaide. Please enter into the hotel via the reception and either make your way up the stairs to the top floor, or catch the lift to level 3 and then use the stairs to the top floor. The friendly hotel reception staff are there for assistance if you are unsure.